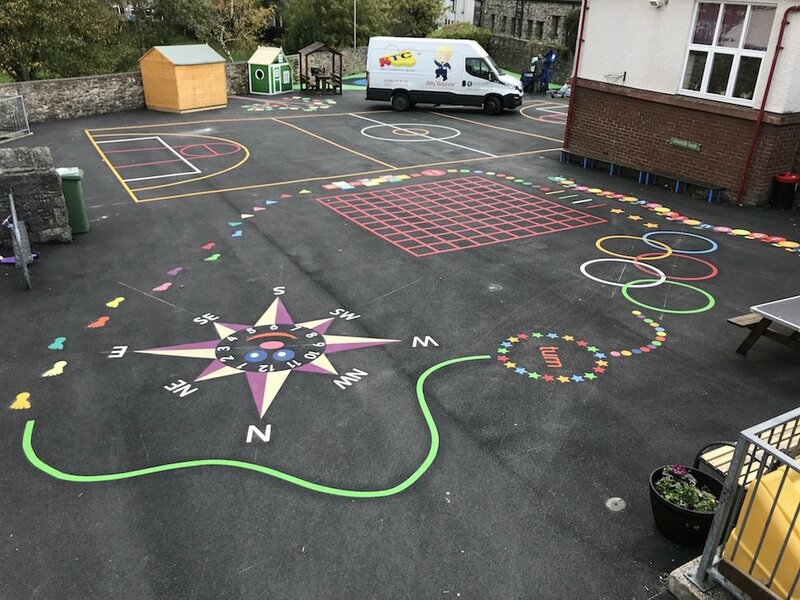 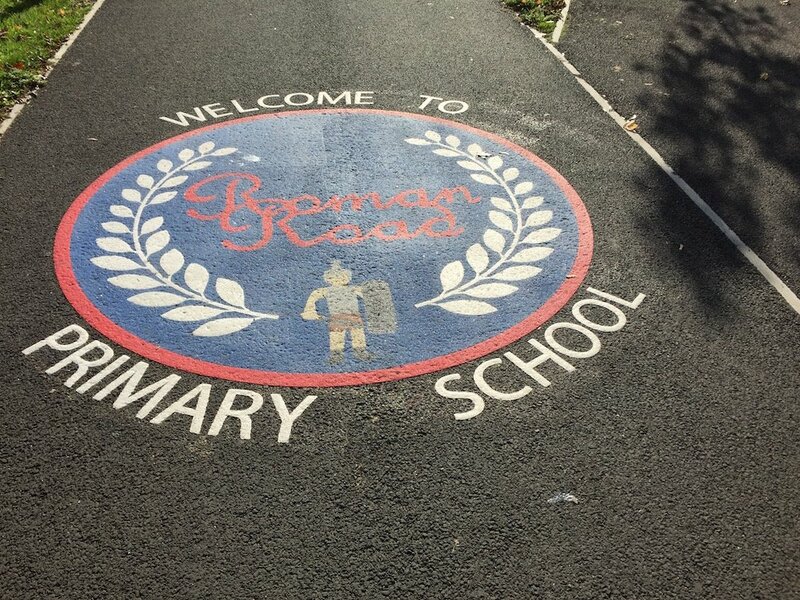 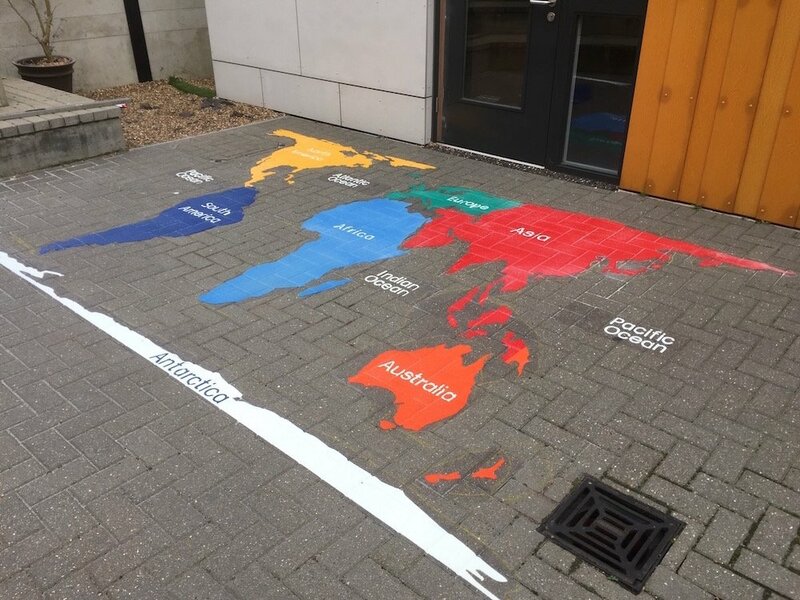 Our installation team drove to Hayes, West London to install a range of vibrant new playground markings at a local primary school. 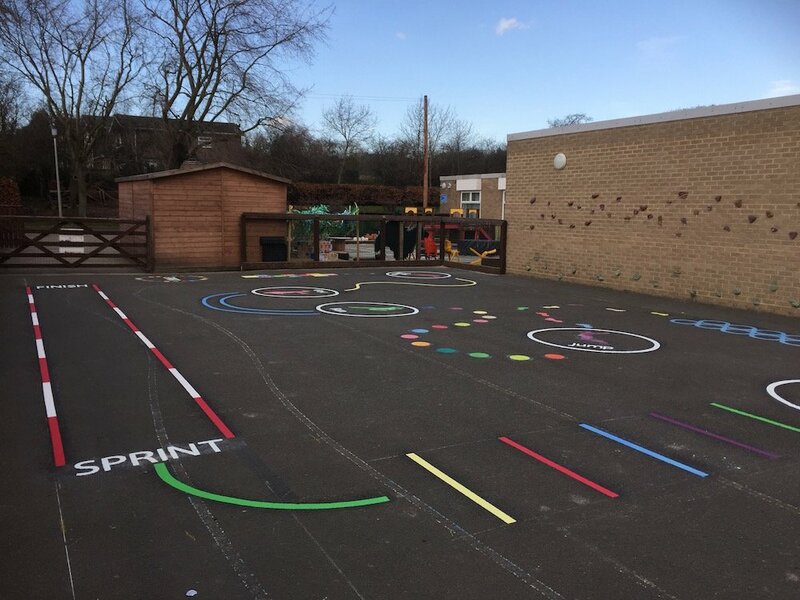 Our installation team jorneyed to Hayes, West London to install a range of vibrant markings for a local school. 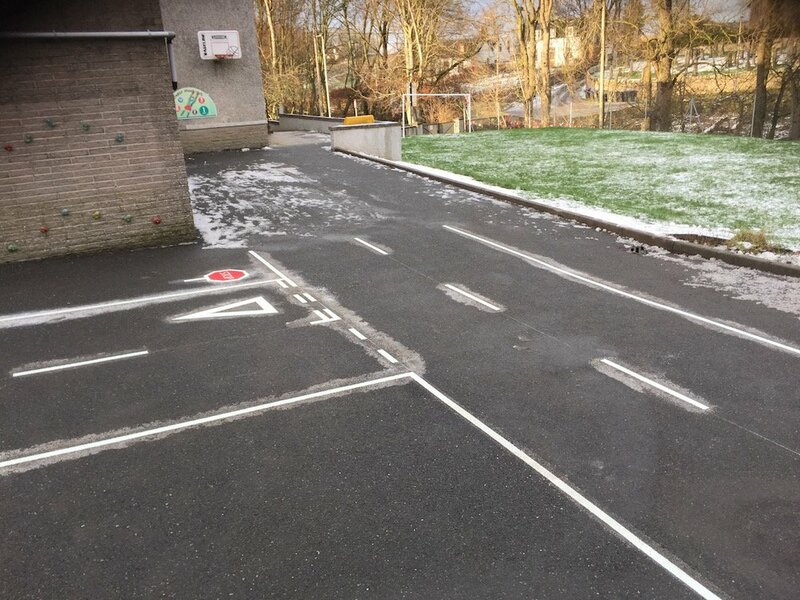 This consisted of 4 Skip Circles, a Dance Class, a Dartboard, a Standing Long Jump and a playground marking stage area. 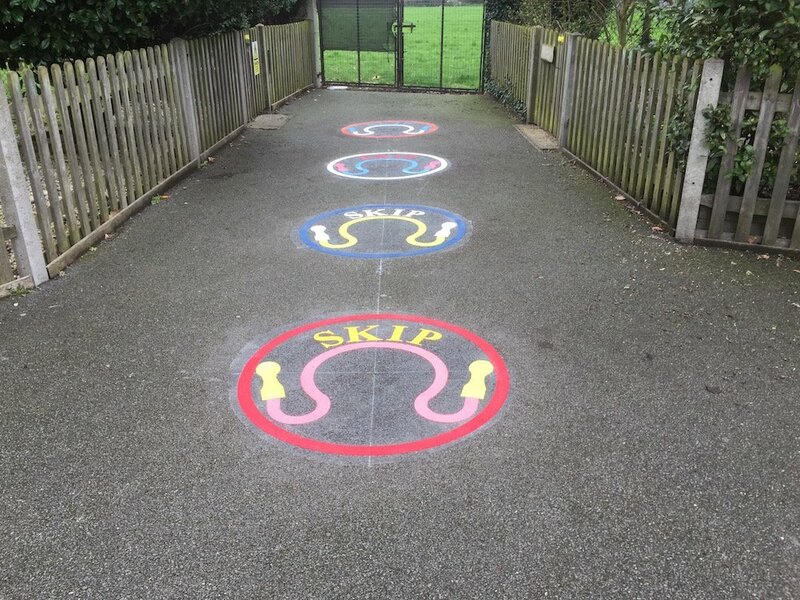 The first of these marking to be installed were the 4 Skip Circles. 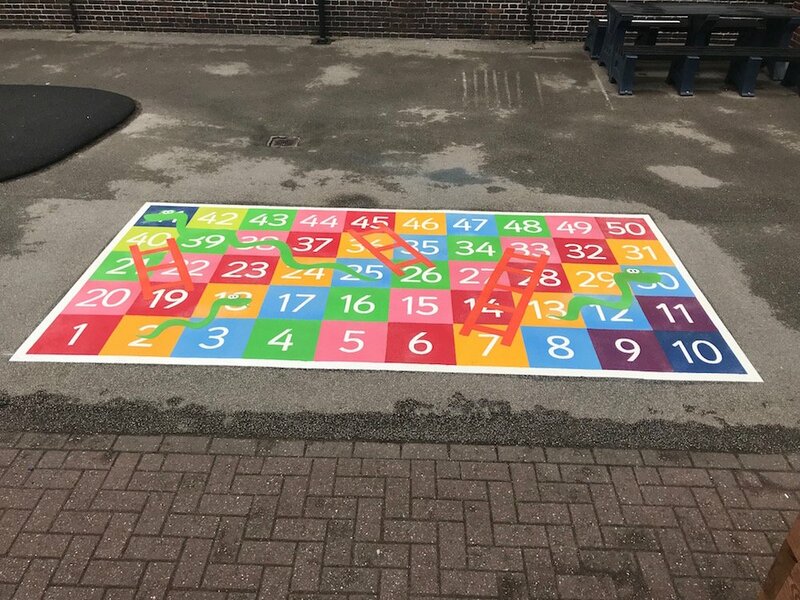 These are a great way to keep young children in good physical shape and make sure they are getting enough exercise, they also look bright and really liven the playground up. 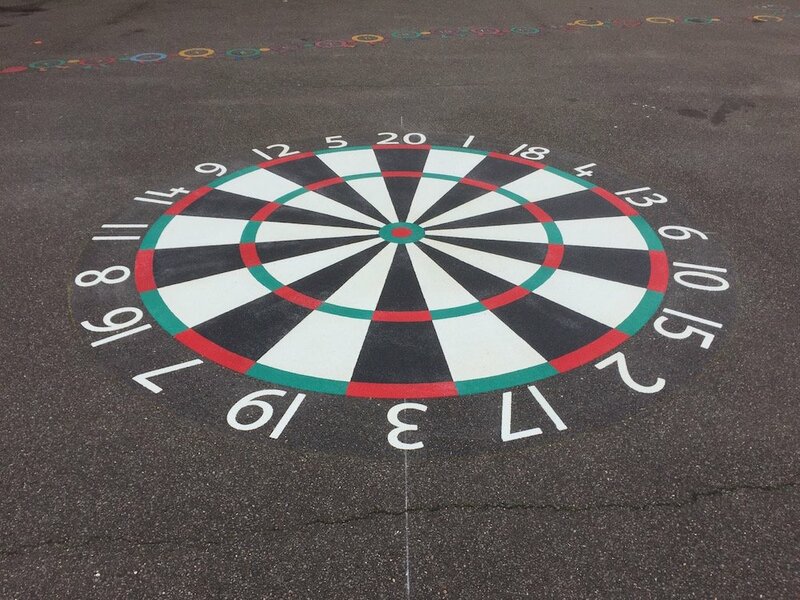 Next the team installed this Dartboard. 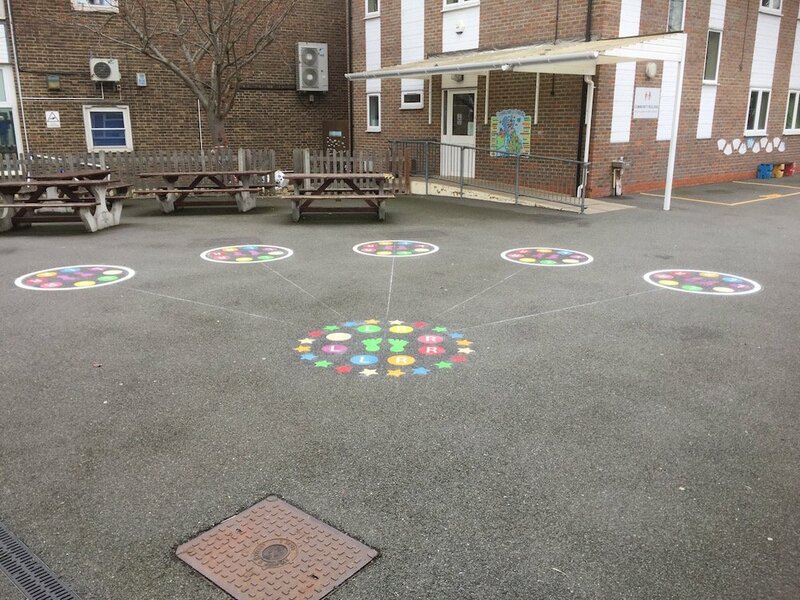 The Dartboard isn’t just great fun. 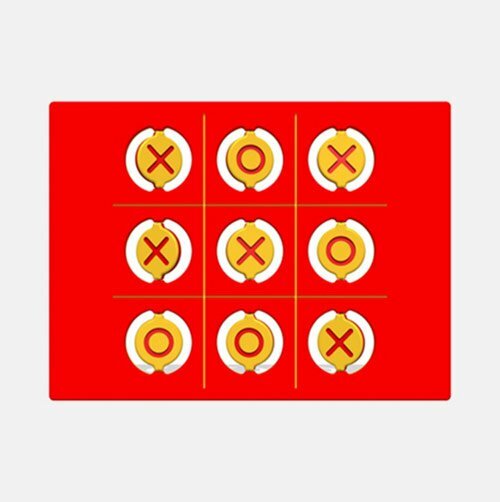 It also helps children with mental addition and subtraction when working out their scores. 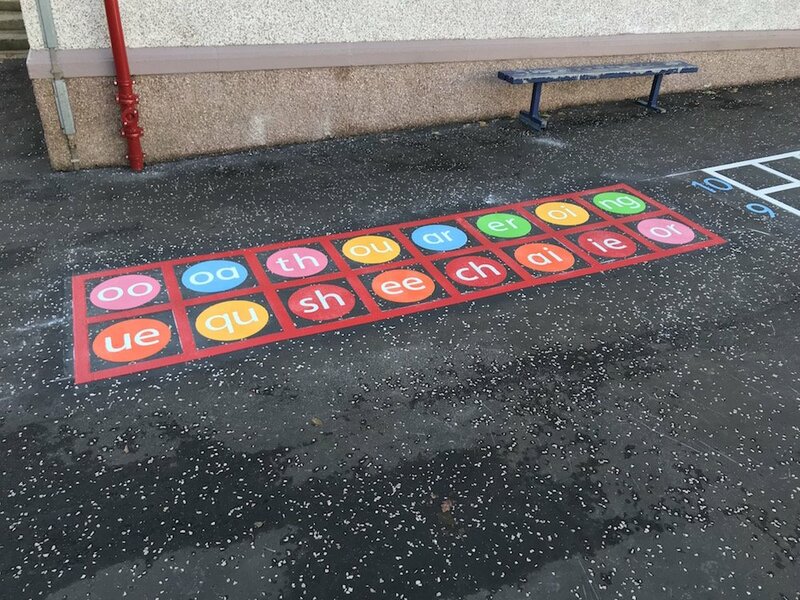 Next was this Dance Class. 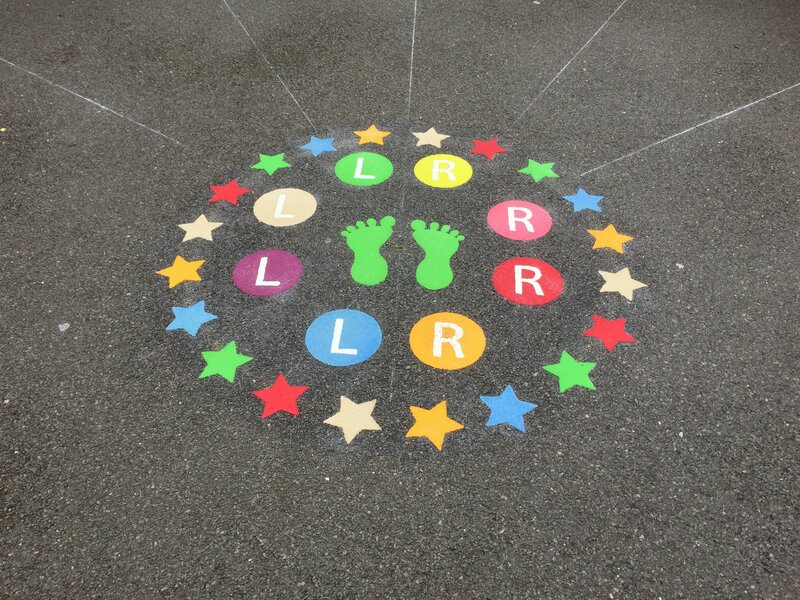 This is a vibrant addition to any play area plus the Children absolutely love them! 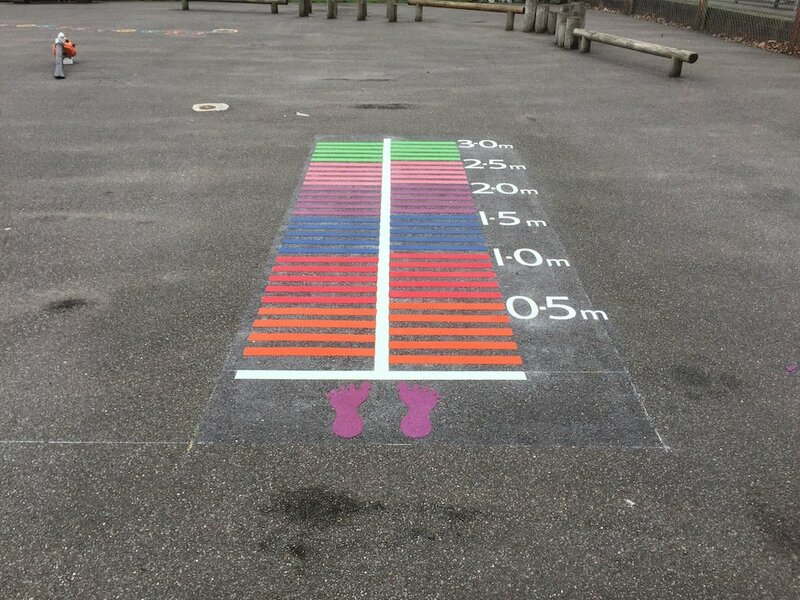 Then our team installed this Standing Long Jump. 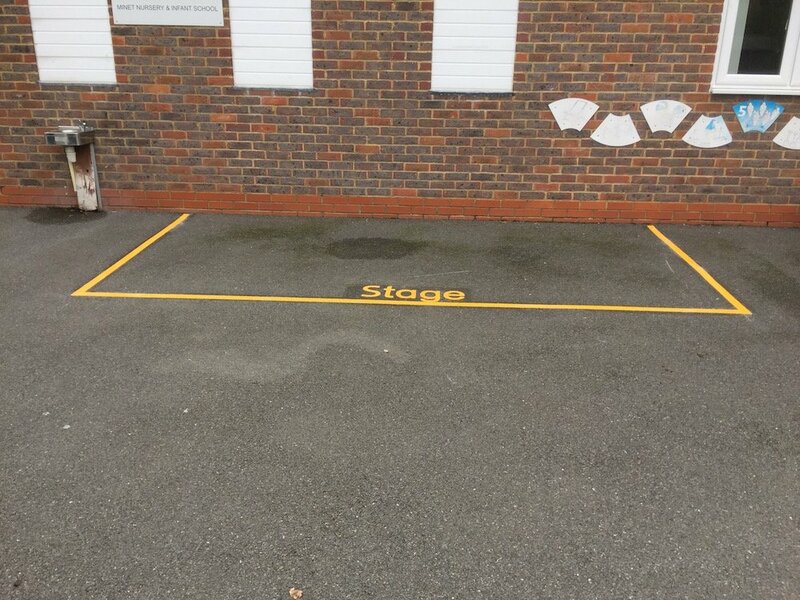 Lastly our team worked with the school to install this custom-made stage area.